Pumpkins are the only thing my kids have been thinking about lately! We are headed to the pumpkin patch on some upcoming field trips and we just got all of the materials to set up our pumpkin patch pretend play area today! 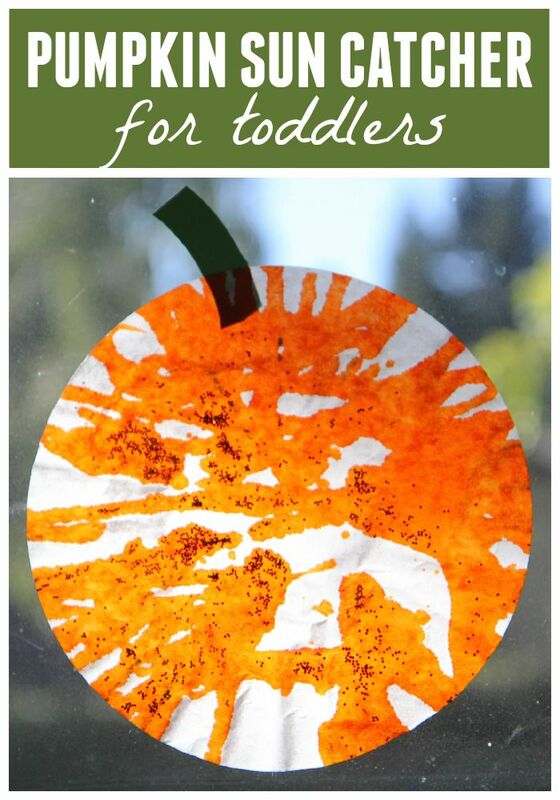 We've also been trying out some other favorite Fall and Halloween activities for toddlers! 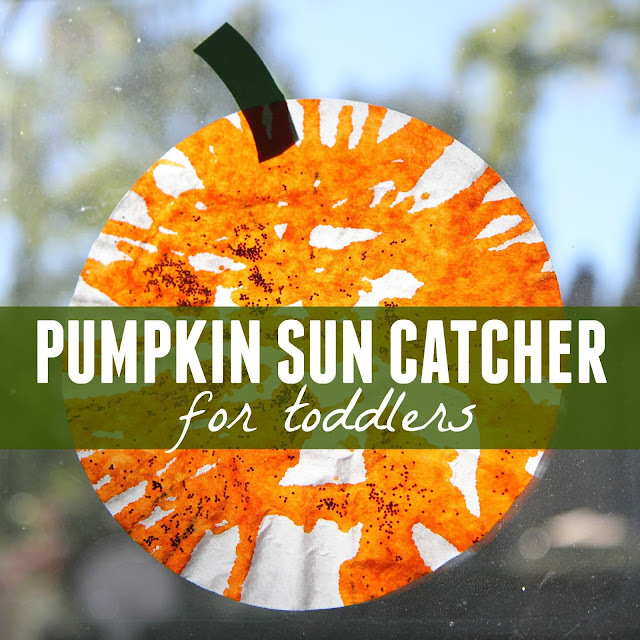 Today I wanted to share a super simple pumpkin sun catcher that my toddler LOVED making! 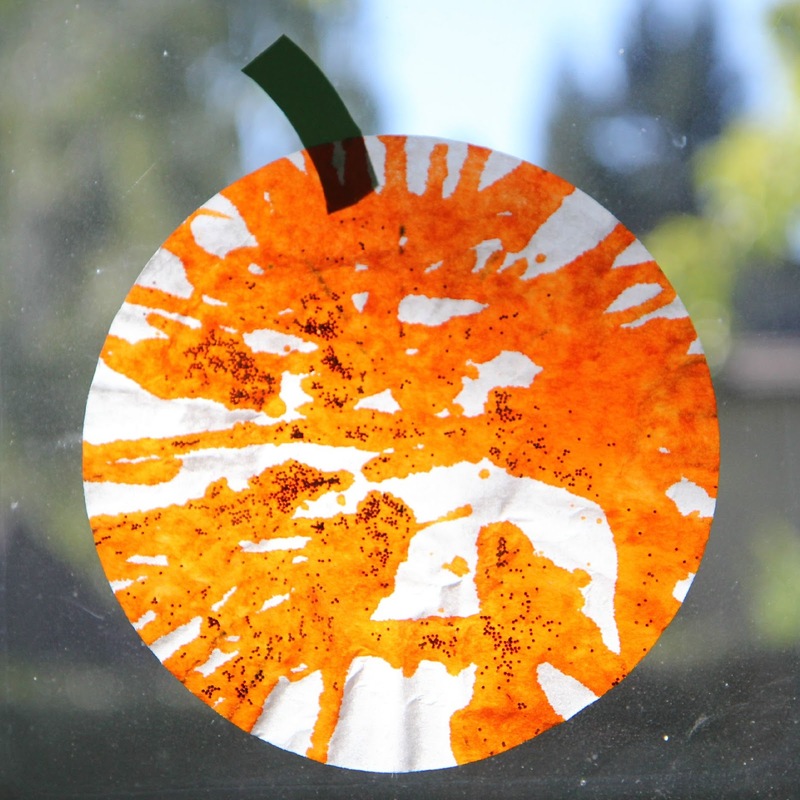 For this easy pumpkin sun catcher you only need a few things! Making these pumpkin sun catchers is so easy! Start by sticking one coffee filter inside your salad spinner. Drop in some white glue, glitter, and orange paint (we used liquid watercolors) and start spinning! Lay the coffee filters out to dry. Once dried, add a green stem to the top and hang your sun catcher in a window! We made six of these to decorate our front windows! Now we feel all decorated and ready for Fall and Halloween! Have you ever done spin art with coffee filters? It is one of our favorite simple activities! If you love pumpkin crafts and activities, make sure to check back tomorrow for another idea! We will be featuring pumpkin crafts and activities over the next few days as part of our Halloween Move & Create series!! This week is all about moving and creating with pumpkins!! what if you don't have a salad spinner?